In celebration of their 30th Anniversary, Cascade partnered with Vogue Knitting to bring the Knitterati Afghan Knit-a-long. The squares are released, 2 or 3 a month, through 2017. 30 squares in all, created by 30 different designers. 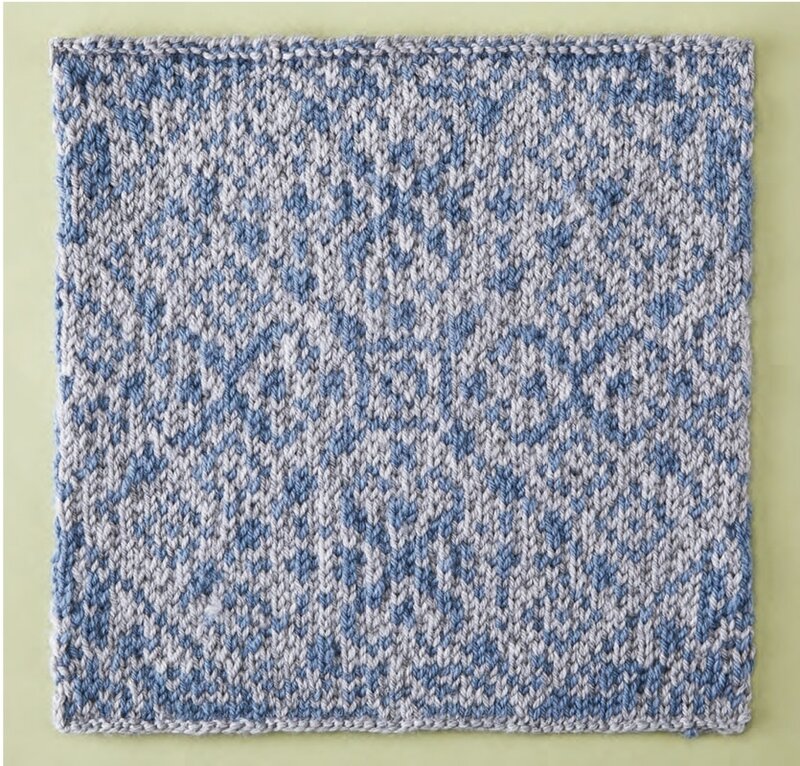 You can get the patterns for free by signing up for Cascade Yarns® newsletter, or Cascade Yarns® will be making a donation to different fiber related charities equal to the amount that they receive from Ravelry for the sale of this pattern! Cascade Yarns® will be making a donation to Halos of Hope equal to the amount that it receives from Ravelry for the sale of this pattern. Halos of Hope is a non-profit dedicated to providing comfort to those who have lost their hair due to cancer treatment, such as chemotherapy or radiation. Halos of Hope provides comfort in the form of a soft handmade hat, that is either knitted, crocheted, sewn, or woven. Halos of Hope collects the hats from volunteers across the country and distributes the donations to over 400 cancer centers, oncology offices, and hospitals.